This adorable, country block graphic single of our cute girl Roxanna with her pet chicken at the farm on a Summer's day measures 1859 X 2169 pixels. Perfect size for all your crafting and printing needs. 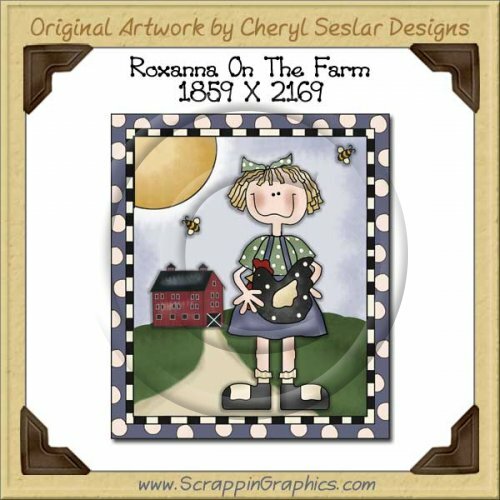 Great clip art for "On The Farm" scrapbook pages, cards, stationary, tags, invitations and other printables.